20 Sep 2018 --- Products that are clean label, natural and have health benefits are in vogue, and busy lifestyles are putting a spotlight on foods and beverages that can offer some stress relief and mood balancing effects. It’s no wonder then that adaptogens – claimed to stabilize physiological processes and promote homeostasis – are having a moment. Featured in a growing number of product categories, suppliers tip ongoing research into their capabilities as well as consumer education as necessary for continued growth. “Adaptogenic herbs are a special class of herbs that help the body regulate natural metabolism and create balance in the body. They also help raise an individual’s resistance to physical, chemical and biological stressors,” explains Kartikeya Baldwa, CEO at Ixoreal, which offers KSM-66 Ashwagandha. A strong driver for new product development featuring adaptogens is the phenomenon of pill fatigue, whereby consumers are looking for natural, tasty and convenient ways of consuming ingredients with health benefits. “The industry is facing a switch from dietary supplements to functional foods and beverages. With an increasing interest in healthy snacking, consumers are looking into beverages, including coffee and tea, with adaptogen herbs,” says Deborah Thoma, Marketing Manager at Nektium Pharma. Nektium´s proprietary rhodiola rosea extract, Rhodiolife is an adaptogen touted as producing a non-specific state of resistance in the body to physical, emotional or environmental stress. “The market is reacting positively and many new products were launched in the past few years such as energy beverages with ginseng, rhapontincum or rhodiola or relaxation drinks with ashwagandha. The use of medicinal mushrooms in functional food and beverages is increasing lately, too,” says Thoma. “Stress, energy, improved sleep and enhanced mental function appear to be significant trends and demands for those considering adaptogens,” Baldwa adds. Teas appear especially popular for the use of adaptogens. Innova Market Insights has noted that in 2017, 24.1 percent of all new product launches tracked with adaptogens were teas. However, ready-to-drink beverages are also popular adaptogen-containing options. At this year’s Expo West, reishi, lion’s mane, chaga and cordyceps were found in products across the show floor as a functional ingredient. They were also featured in coffee and tea by brands like Wonder Fuel and Choice, as a powder supplement in Om products and Nutrasumma Plant Protein. And Berry Flavor, ​​​​with schizandra. Also at the show, the adaptogen schizandra featured prominently in launches such as Goldthread Schzandra Supreme and Rise Rose & Schizandra Kombucha. Often formulators will combine the adaptogens with other botanicals and ingredients to up the ante in terms of functional benefits but also to ensure pleasant flavor profiles. A strong example of a brand seeking to harness the benefits of adaptogens is REBBL, which has come with a range of “Adaptogen Powered” elixirs. REBBL describes its elixirs as being “enhanced by the power of adaptogenic herbs and formulated for functionality,” using adaptogens at levels that correspond to traditional therapeutic, or quality clinical data. REBBL in May announced the closing of US$20 million in funding led by CAVU Venture Partners, a VC and growth equity firm started by consumer products veterans known for backing and building iconic consumer brands such as BAI Brands, Health-Ade Kombucha and Bulletproof Coffee. Increasing demand and interest in ingredients with an adaptogenic activity is a reality. However, the category is in need of further research to ensure that the claimed or supposed health benefits do not end up failing to live up to their promise. “Only a few herbs are actually approved and recognized as adaptogens,” Thoma notes. Although there are several ingredients thought to have properties that would put them in the class of adaptogens, currently the “official” adaptogens are limited to the Asian and American ginsengs, ashwagandha, eleutherococcus, schisandra, rhodiola rosea, rhaponticum and cordyceps, she explains. “Research on the adaptogenic activity for herbs such as holy basil, goji berry, maca and medicinal mushrooms (reishi or shiitake) which are considered possible adaptogens is still ongoing. In fact, medicinal mushrooms have experienced the highest growth in the industry,” says Thoma. “One of the biggest challenges is for research (with clinical data) to be indicative and to allow the obtaining of a health claim under the adaptogen category. Not all adaptogens have the same activity, with some being relaxing and others stimulating,” she continues. “Usually, adaptogens have a positive effect on people's health when used in appropriate combinations with synergistic herbs with a clear understanding on the health benefit each herb has to the human body,” she adds. 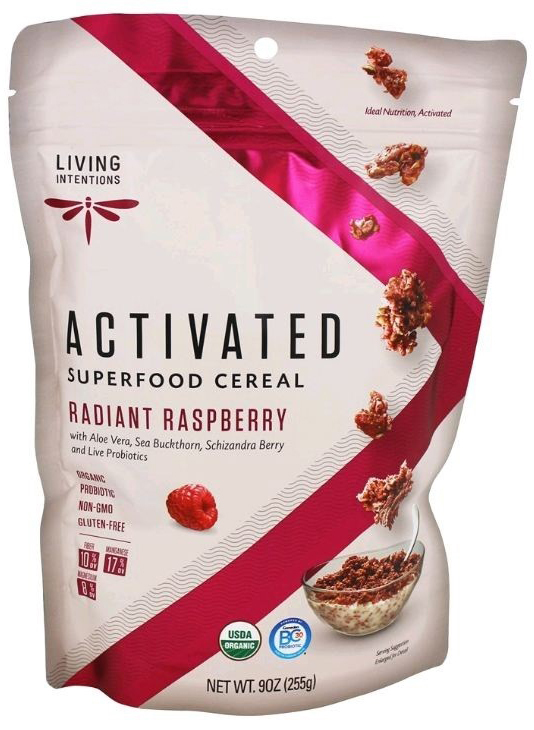 Living Intentions Activated Superfood Cereal, with schinzandra berry. “Marketing for adaptogens are often exaggerated. 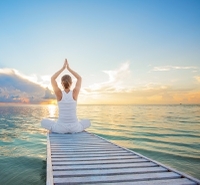 Obtaining a marketing claim for adaptogens is challenging as research demonstrating the adaptogenic activity in general well-being, stress or relaxation is difficult to measure. As the term ‘adaptogen’ is considered not appropriate for marketing, clinical studies and evidence data on the efficacy is needed,” Thoma states. As consumer knowledge on adaptogens is only cursory, and health claims not yet likely to appear, education and marketing need to be on-point to further consumer interest in the category. According to Ixoreal’s Baldwa, continued studies focusing on modern lifestyle issues such as stress, enhanced mental acuity and improvement in overall quality of life and happiness, combined with highly visible marketing efforts that highlight positive results are key. “Highlighting tradition and origins are also key factors. A strong, prominent, well-rounded presentation of all of these is required for continued success and growth. However, research alone cannot get companies to where they want to go. Media is essential, not just the internal and very small media in the natural products industry, but real-world media that reaches into households,” Baldwa concludes.